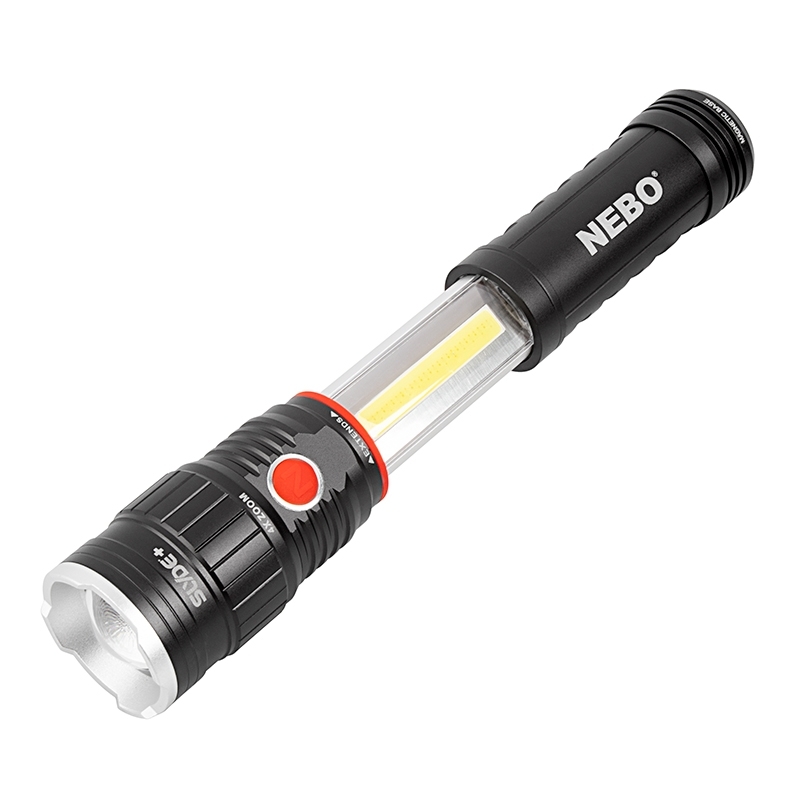 LED Flashlight/Work Light - NEBO SLYDE+ - 300 Lumens: Beam on Table. 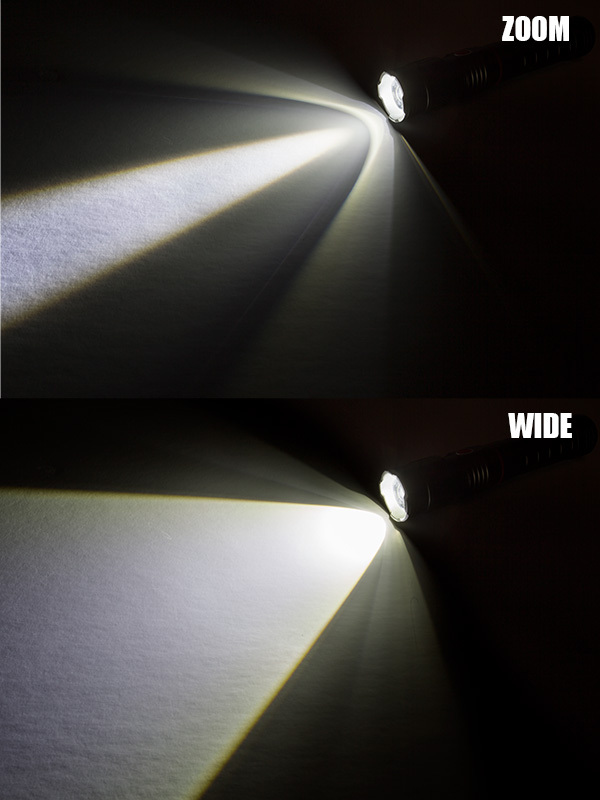 Comparing Zoom vs Wide. 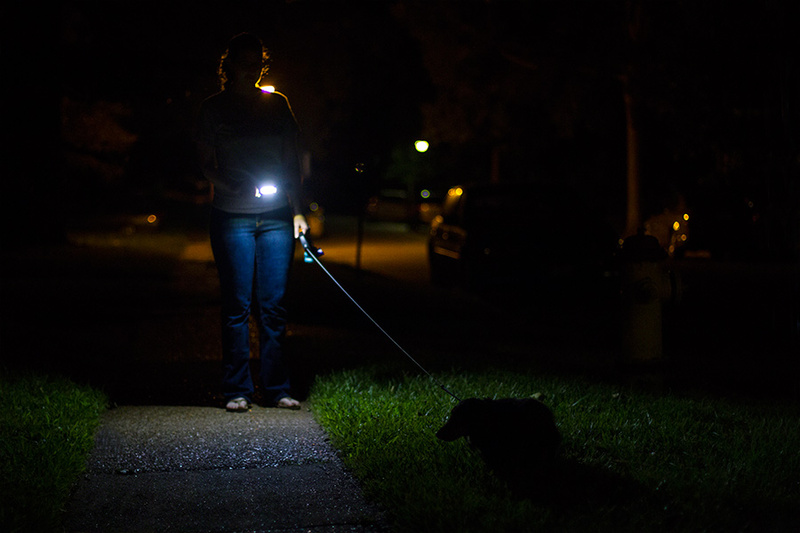 Based on NEBO's original SLYDE, the SLYDE+ LED flashlight/work light offers enhanced technology and lighting options. 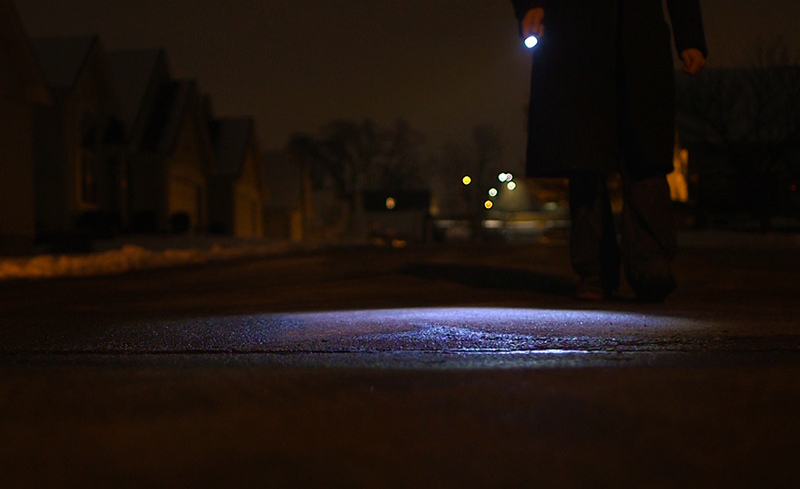 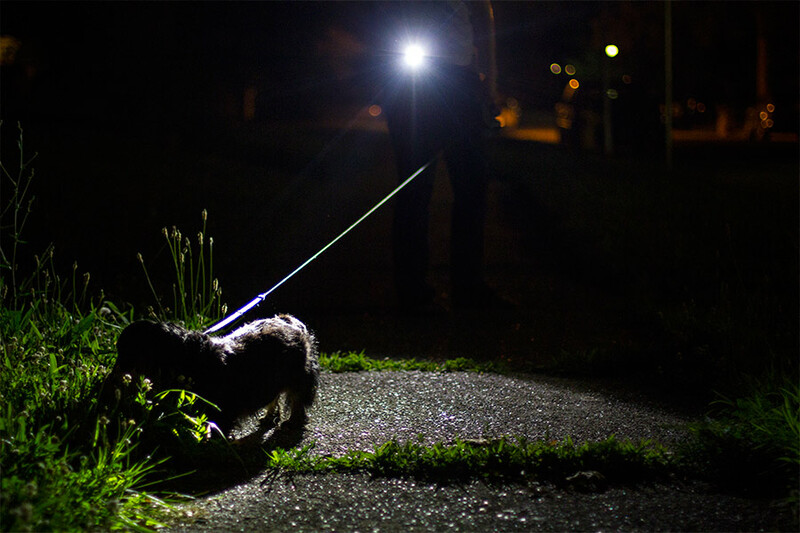 This LED light is perfect for low-visibility situations. 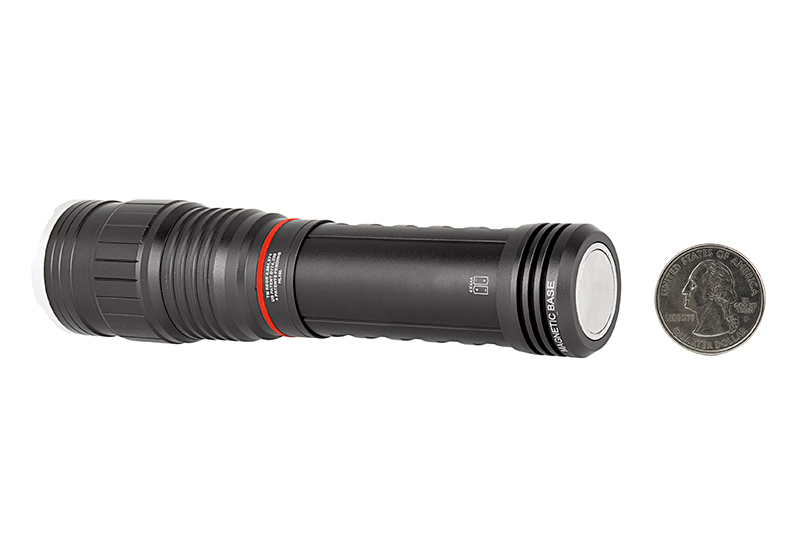 This flashlight features 4x adjustable zoom, allowing it to emit light in wide flood or narrow spot beams. 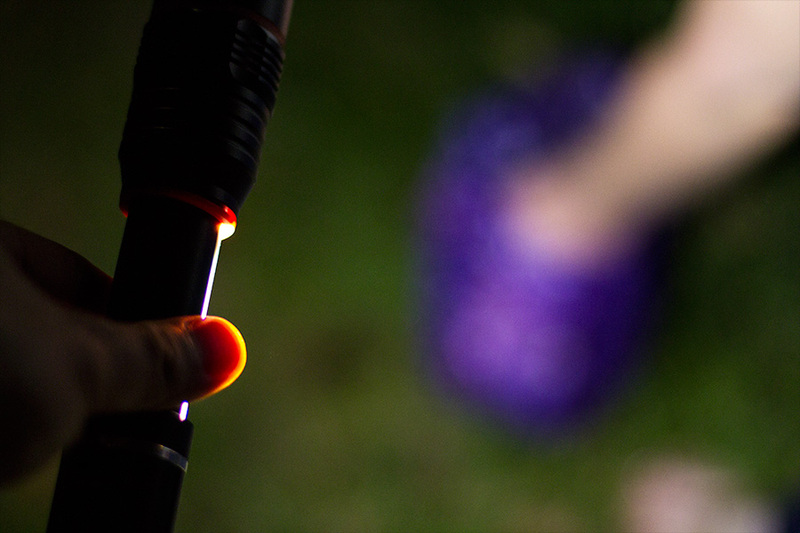 Extend flashlight grip to activate a 200-lumen LED worklight. 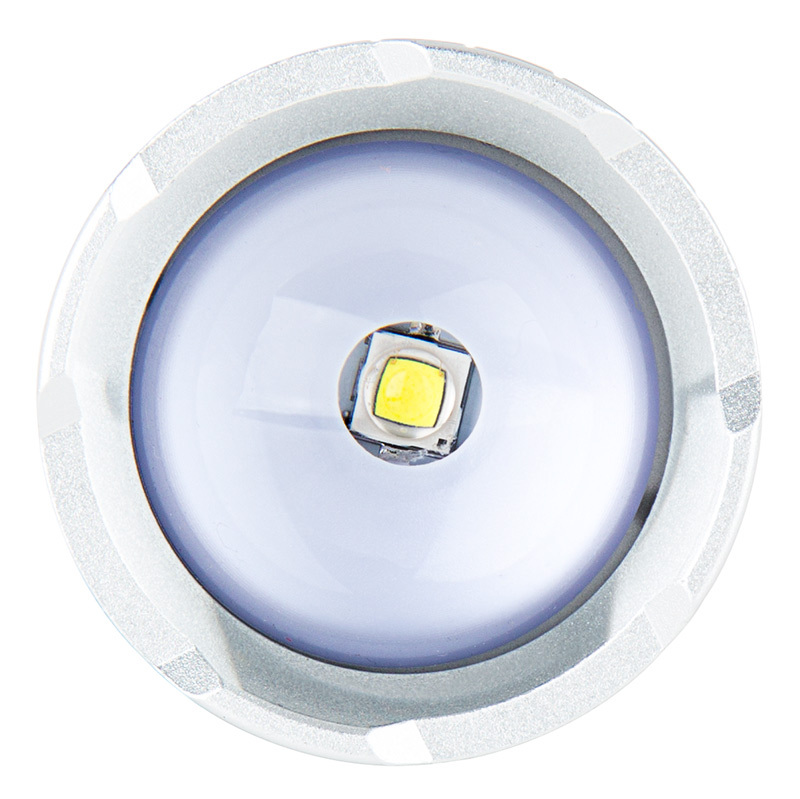 Use programmable memory settings for each lighting mode. 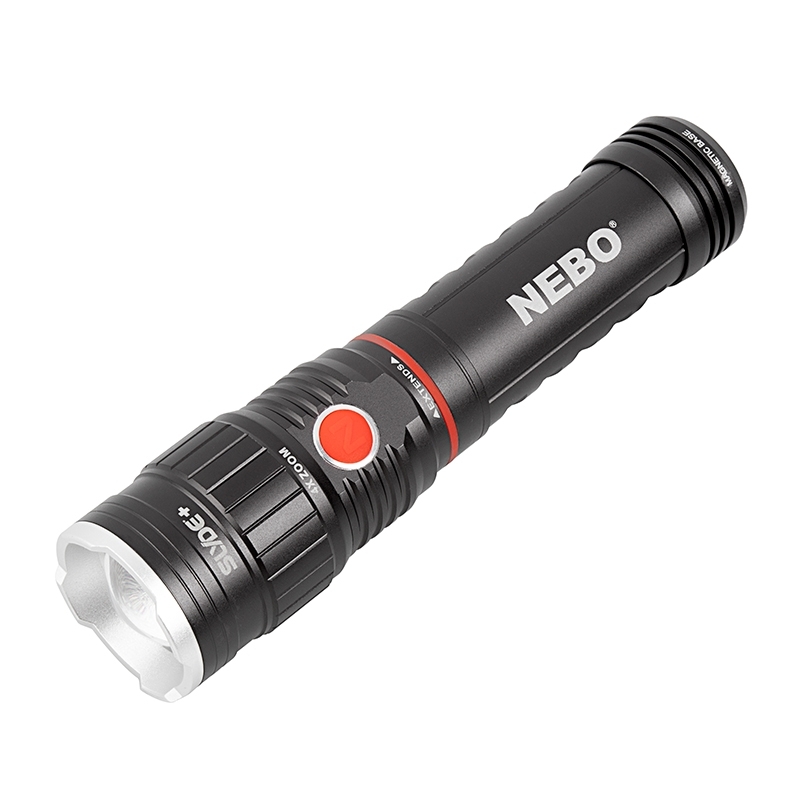 This weatherproof, impact-resistant flashlight is constructed of anodized aircraft-grade aluminum. 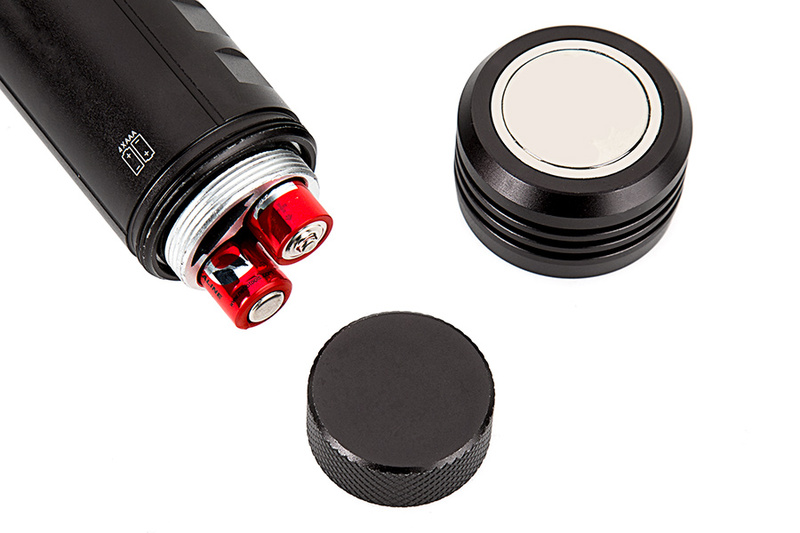 Use its side-mounted on/off button for dimming and its powerful magnetic base for hands-free lighting. 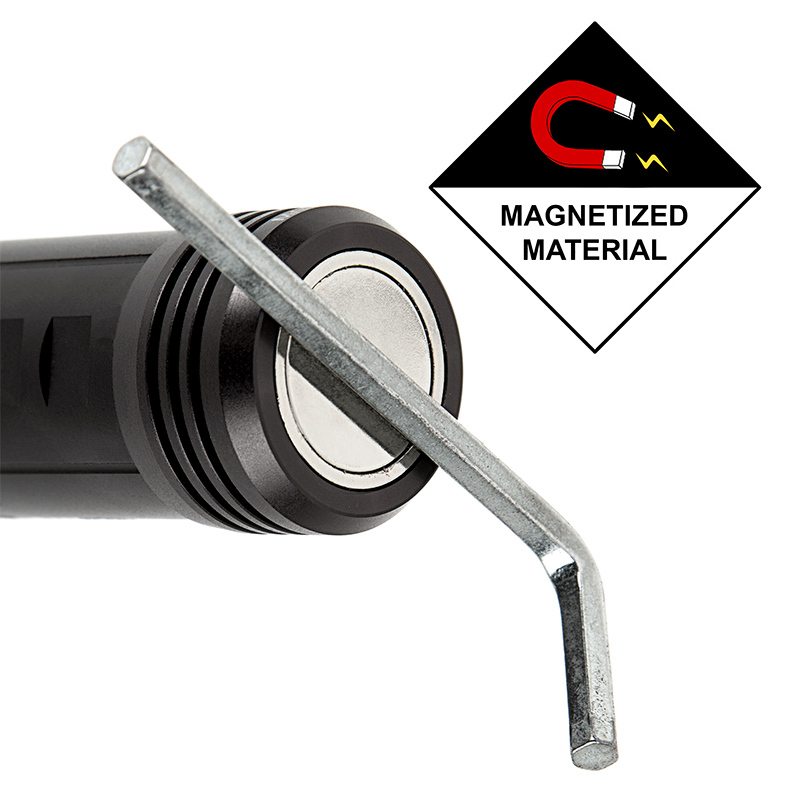 Requires 4 AAA batteries (included).